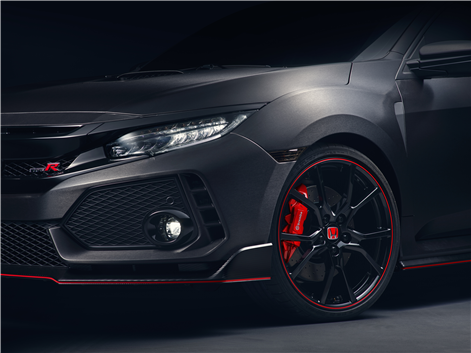 Home > News and Videos > News > 2017 Honda Civic Type R: it's coming soon! 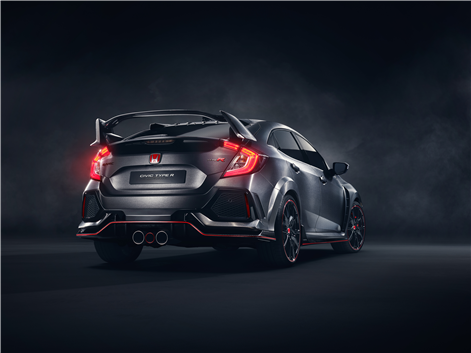 It has now been almost six months since we have been waiting for the final production version of the new Honda Civic Type R after the unveiling of the prototype at the Paris Motor Show last September. 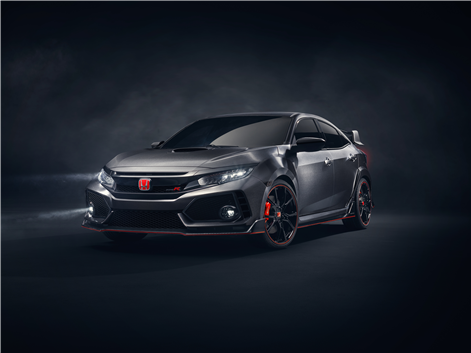 It has now been almost six months since we have been waiting for the final production version of the new Honda Civic Type R after the unveiling of the prototype at the Paris Motor Show last September. 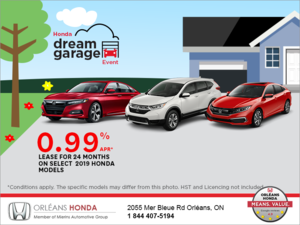 A few weeks ago at the Geneva International Motor Show, Honda finally presented the version that will be sold (finally) in North America next summer. 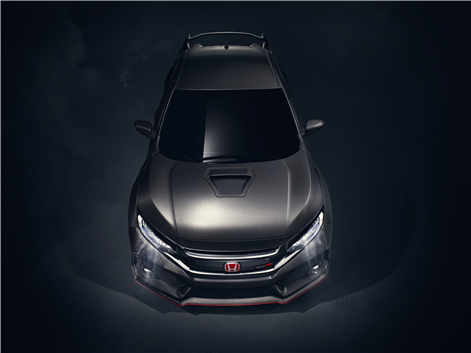 We also got more information about the specifications of the 2017 Honda Civic Type R.
The 2017 Honda Civic Type R will be powered by a 2.0-liter direct-injected turbocharged four-cylinder engine developing 306 horsepower and 295 pound-feet of torque. This power will be sent to the front wheels through a six-speed manual transmission exclusively, and a limited slip differential will reduce torque steer and provide impressive handling. With a Honda Civic Hatchback as its starting point, the 2017 Honda Civic Type R will nevertheless be a lot stiffer. The car was tuned on the famous Nürburgring in Germany to offer optimal handling and performance. This means that the suspension and the shock absorbers, in addition to being adjustable, are also optimized to ensure the best possible agility. 20-inch wheels wrapped with Continental ContiSportContact 6 tires are standard just like Brembo calipers. 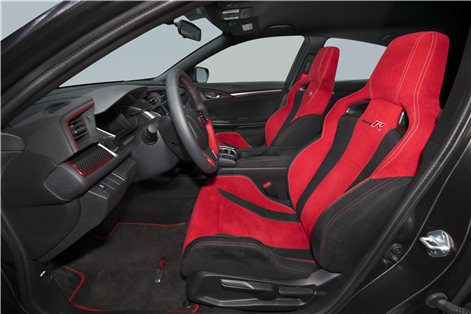 Despite the fact that the 2017 Honda Civic Type R was developed to provide superior performance on the track, Honda still wanted to make it possible to drive the car on a daily basis. That is why it will be possible to choose different driving modes that adjust the suspension, steering, transmission, and traction and stability control parameters. Sport mode will be the default setting, but the driver will also be able to opt for a +R mode when venturing out on the track, and a comfort mode when driving around the city. Honda has not confirmed the exact price of the 2017 Honda Civic Type R, but the Japanese manufacturer has indicated that it will come standard with a navigation system, Apple CarPlay and Android Auto functions, and dual-zone climate controls, all for just over $ 40,000. 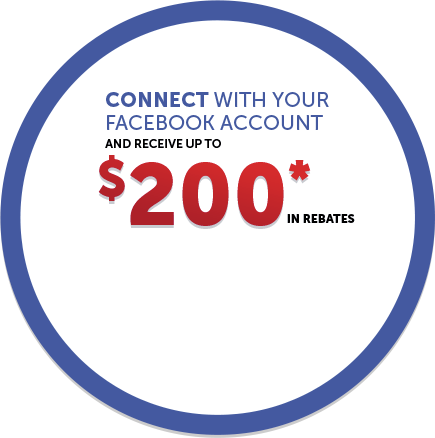 Come and discover the 2017 Honda Civic Type R this summer at Orleans Honda!